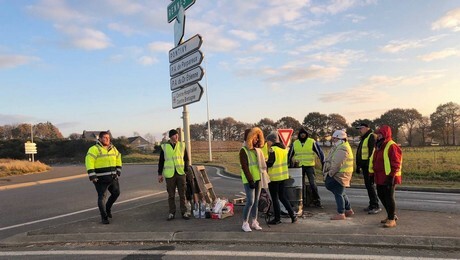 Three weeks ago, the protests of the 'yellow vests' started in France as a protest against the rise of fuel taxes. Currently, the protests are on hold, as the tax increase has not been added to the 2019 budget. Last week, a protest by Belgian activists also started spontaneously in Brussels. The demonstrators sought confrontation with the police and occupied tunnels and crossroads. One of the importers who has suffered the impact of the protests in France is W. Jonckheere. "We have had a lot of problems with the 'yellow vests' during the past weeks. Given that France is a transition country for products from Spain, our trucks have to drive through France. We have had several cargoes arriving too late. This is detrimental to the freshness of the products, and our customers are also hit by this," says Cedric Geens. "The protests have been going on for almost four weeks and no progress seems to have been made. When French people set their sights on something, they really do go for it." Exofi's shipments have also been delayed by the 'yellow vests'. "Some trucks have stood still for hours because of the protests," says Jan Vermeiren. "We hope that the protests will soon be over, but it remains to be seen. The products have to go through France and that makes the situation very difficult. The products' freshness, and consequently their sale, is at stake. Fortunately, the protests here in Belgium are not too bad and when it comes to France, all we can do is just sit and wait. There is not much we can actually do about it." 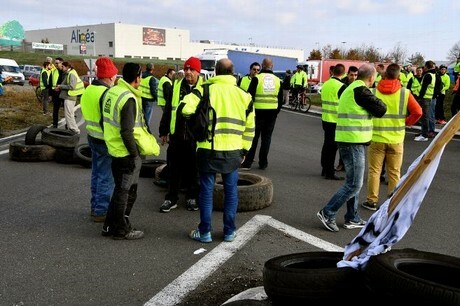 According to a Belgian logistics service provider who has been stuck in Belgium during the protests, such protests are sometimes a dangerous situation for the drivers and other road users. "Various accidents have already happened due to this unnecessary situation. The protesters could also make their point in another way, without bothering other people. I am therefore not surprised that people who were tired of it have been giving soup with laxatives to the protesters." "What makes these actions unpredictable is that the 'yellow vests' are an unorganized group formed by more than 10,000 people. They are not being led by a union; instead, they keep their actions going until the police sends them away," says Pieter de Ruiter, of 4Fruit Company. "Only a limited percentage of vehicles is delayed by this. On Monday, of the twenty vehicles we expected, four were delayed, and on Tuesday, four out of eighteen. For us, the problems are not so urgent, but retailers are rejecting some of the batches. Now, for example, there are many vehicles going through France to German distribution centers with Spanish goods, with some batches that are having to be sold elsewhere," said the importer. "Of course, what also usually happens is that the shipment of red peppers that you are waiting for is too late, while the vehicle carrying the iceberg lettuce you don't need right now is on time. All in all, however, not a dramatically high percentage is delayed, but those vehicles also need to go back, so all in all, there are many cars going back to Spain late, which again results in a shortage of transport and rising prices," says Pieter.